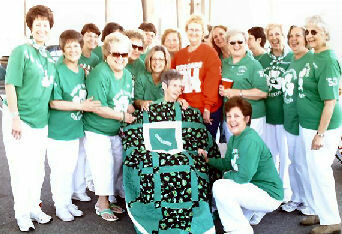 The annual Hussar/Colleen get-together was held on Saturday, March 1 and a good time was had by all in attendance. The weather cooperated beautifully as we gathered under the large pavilion on Proctor Street in down town Port Arthur. We would like to thank the Graduate Museum for the use of their tables and chairs. The food was good and there was plenty of it. 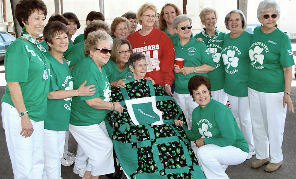 One of our Hussar members, Sally White Graham, class of '62, made a beautiful green quilt with shamrocks on it and every Colleen in attendance was given a ticket for a chance to win. The winner was Beverly Vidrine and she was thrilled. 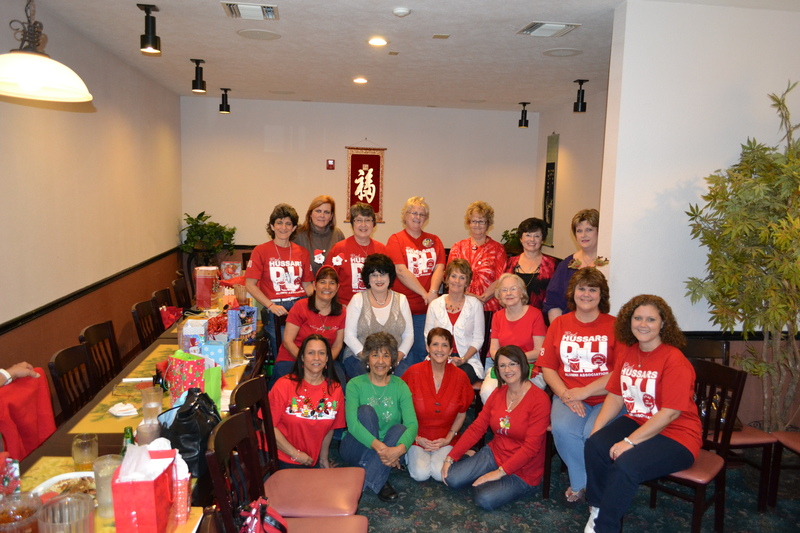 She has had some medical problems and was brought by her husband and daughter-in-law, Kathy. She kept saying how glad she was that she was able to come and really happy that she won. Both groups enjoyed playing and it brings back good memories of our school days. Many pictures were taken and will soon be on display on our web page. 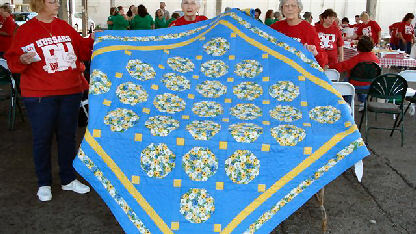 Sally also has donated a blue and yellow quilt with shams to be used as a fund raiser for the RHAA. Tickets are priced at $1.00 each and may be purchased from members. The drawing will be May 15, 2008 at Ester's Seafood at our officer installation. 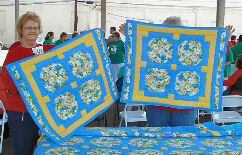 Quilt to be auctioned off in May.